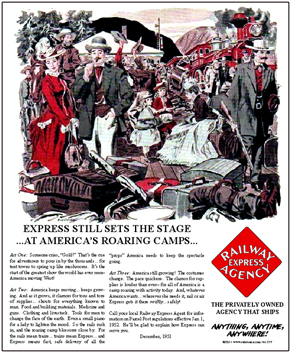 The Railway Express Agency moved just about all less than carload shipments in the US for decades and even controlled all air freight shipments for a period of time. Historic sign of the Railway Express Agency's Air Express logo. For a time, the REA handled ALL air express shipments. 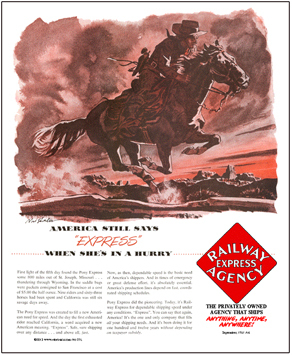 Historic Railway Express Agency's classic logo used in advertising and on all trucks. 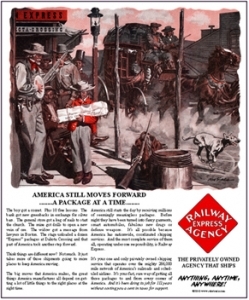 For a time REA was the worlds largest mover of packaged freight! 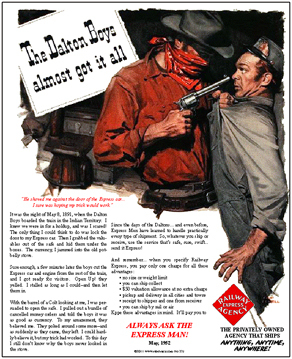 Tin Sign of an advertisement of the old wests famous Dalton Boys express robbers. 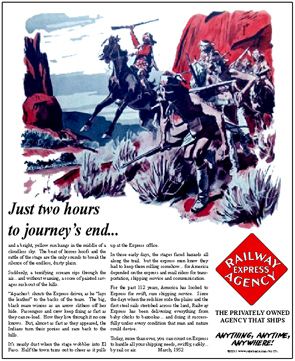 Tin Sign of an advertisement celebrating how the Overland Express Company got the goods through with pony express riders. Final logo used by REA before its demise. 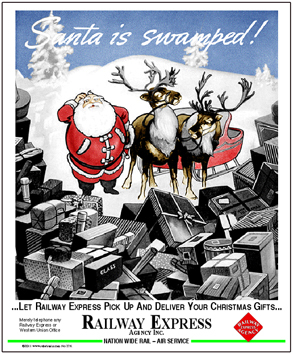 Railway Express Agency for a time, controlled all Air Freight Shipments and was the worlds largest mover of packaged freight! 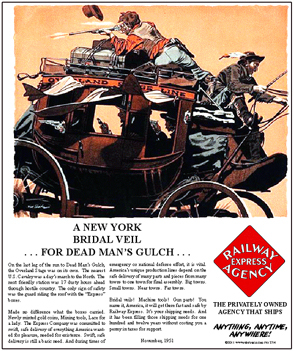 Tin Sign of an advertisement using past Indian raid to promote REAs swift and safe express deliveries. A very unique sign of days gone by. 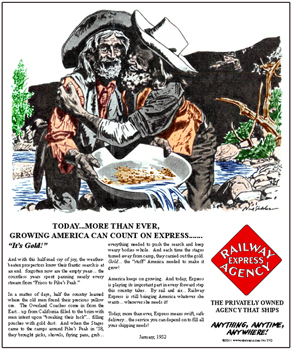 Tin Sign of an advertisement centered on Gold rushes of old and how the express company delivered everything they needed. Great little sign with four logos used by the Railway Express Agency, and one of its shipping clerks! 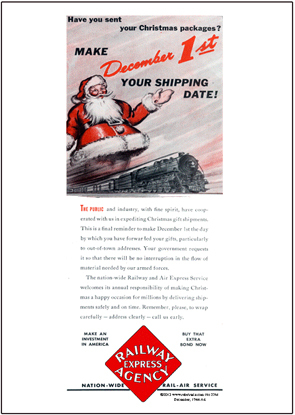 REA was larger than UPS in its day and for a time controlled all air freight shipments. 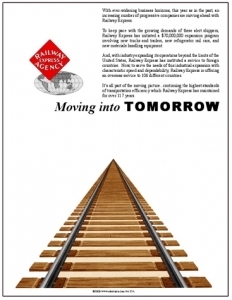 Tin Sign of an REA advertisement of their moving ahead with improvements. Tin Sign of an REA advertisement of their history in the delivery business dating back into the 1800's. Tin Sign of an advertisement of how the REA set the stage for daily life in the old west, delivering just about everything folks needed to get by. 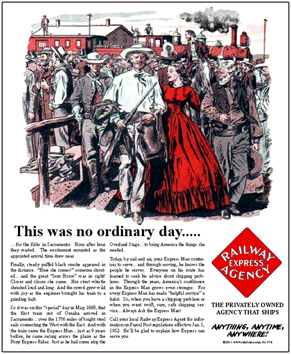 Tin Sign of an advertisement celebrating how the Overland Express Company got through with the goods in all delimas. A very nostalgic ad.